While there are many plugins available out there which helps you having author box on your blog representing Author’s byline, headshot and social media links but sometimes you as an administrator or an editor want more than that. You wish to have a single page displaying all your authors. 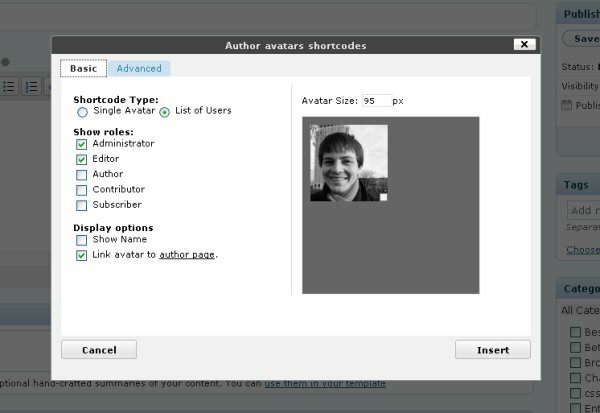 In order to begin the process of displaying your all authors on one single page, first start by installing and activating the plugin name Author Avatars List. This plugin makes it possible for you to display lists of user avatars on your blog while it also allows you to insert single avatars for blog users or any email address into a post or page. Not only has this, but an Avatar lists can be inserted into your sidebar by adding a widget or into posts/pages by using a shortcode. The plugin comes with a tinymce editor plugin which makes inserting shortcodes very easy. Group users by their blog (when showing from multiple blogs), and show the blog name above each grouping (experimental feature).